E-mail written Jun 2009 to Warren L. Culpepper from Shelby Laymons Cox, e-mail address. 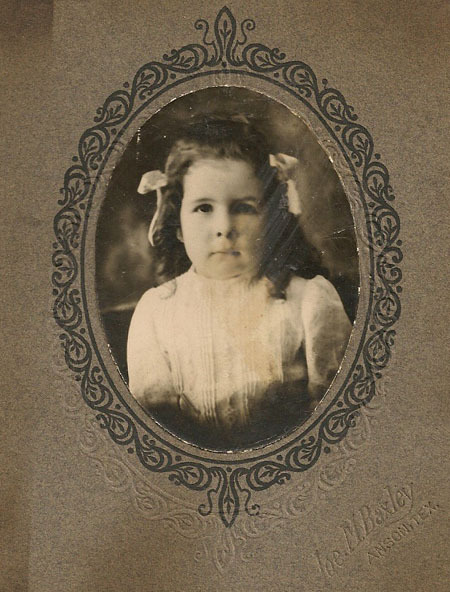 + Infant Culpepper, 10 Sep 1901 - 2 Jun 1902 (Dovie Fleacy Culpepper). Richard Clay O. Culpepper died 21 May 1948 in Wichita Co., TX. Henry Culpepper, Son, M, 11/12, S, TX AL TX. Hughrene Culpepper, Dau, F, 2 8/12, S, TX AL TX. Hughrene Culpepper, Dau, F, 12, sng, TX/AL/TX. Docia M Culpepper, Female, Widowed, died 10 Sep 1970 in Wichita Co., TX. Edith Cecilia Culpepper, Female, born __ 1935 in Tarrant Co., Texas, child of Belon Baxley Culpepper and Puella Walker. Aileen D. Culpepper, Dau, F, 11, S, TX AL TX. Malon Maxley Culpepper, died 4 Nov 1962 in Howard Co., TX. Ella Hawkins Culpepper, 5 May 1886 – 8 Jan 1975. Ella M Culpepper, Female, died 8 Jan 1975 in Taylor Co., TX. E-mail from Wanda Chittum e-mail address to Warren Culpepper, 5 Oct 2003. 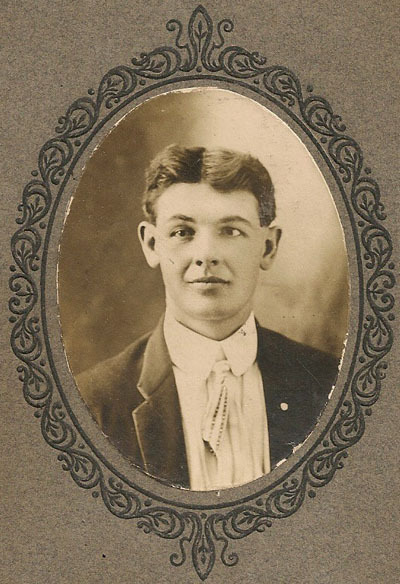 Jonnie Lois Culpepper, 25 Dec 1900 – 15 Jan 1912. Biography* � William was first noted as an infant living with his parents in the 1850 census of Meriwether Co., GA. This is probably where he was born. The family was still living in Meriwether Co., GA in 1860 when William was noted with his parents in the Oak Ridge P. O. district. When the Civil War broke out, William's father went off to war. He never returned. At some point, probably soon after learning of James M. Carlisle's death in the war, William would have moved with his widowed mother and his younger brothers and sisters to Randolph Co., AL where his grandmother, Sarah (Culpepper) Elliott, and other relatives were living. William apparently met and married his wife, Rebecca, in Randolph Co., AL since this is where her family was living. Unfortunately, although the rest of the family has been located in the 1870 census in Randolph Co., AL, William and his wife and infant son have not been located in census records of Randolph, Tallapoosa, or Clay Co., AL or of Meriwether Co., GA. Also unfortunately, the census records for William's son, James Inman Carlisle, sometimes indicate that he was born in Georgia and sometimes in Alabama. A great-great granddaughter of William A. W. Carlisle, Mrs. D. O. (R. Maxine Huggins) Hukkanen, wrote that "he [William], Mary Rebecca and James moved from Georgia to Alabama 1869-1870." It seems possible that after their marriage, William and Rebecca went back to Meriwether Co., GA and visited with relatives and possibly settled there long enough for James Inman Carlisle to be born but then William and Rebecca decided to return to Alabama where there next child, Ida, was born in 1870. William and Rebecca apparently decided to settle in Tallapoosa Co., AL where the rest of his children were born. 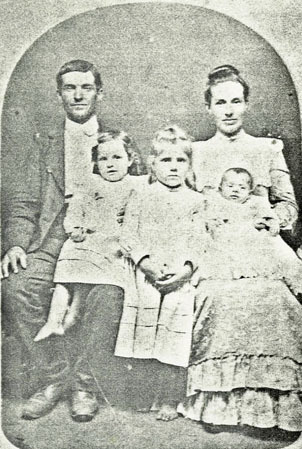 William's children moved to Texas in the 1890's. It is not known if Rebecca was still living at this time but according to Mrs. D. O. (Maxine Huggins) Hukkanen, after the death of his wife, William then "lived 6 months with each of his children." 28 Oct 1980, Mrs. D. O. (Maxine Huggins) Hukkanen wrote that "Dee" [J D Carlisle born in 1904] "remembers his grandfather but not his grandmother, and William was still alive and living in Texas when they [James Inman Carlisle family?] came to Calif. in 1918." 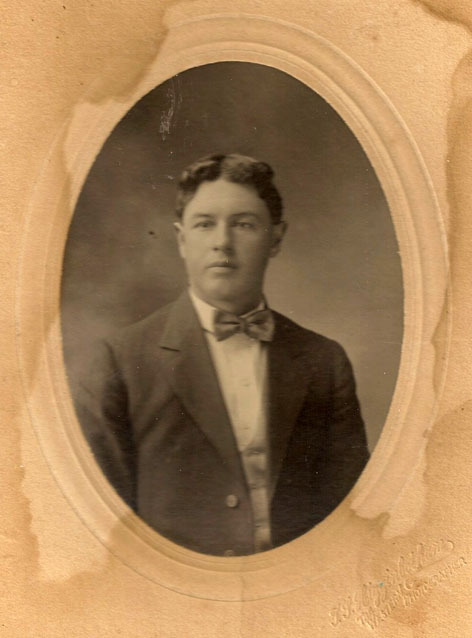 There is a William Alex Carlisle listed (#13723) in the Texas Death Index with a death date of 2 Mar 1918 but it is unlikely that this was the same man if he was still living when the James Inman Carlisle family moved to California in late 1918. In addition, Mrs. D. O. (Maxine Huggins) Hukkanen wrote to the caretaker of the Stewart Cemetery in Rusk Co., TX where the William A. Carlisle who died in 1918 was buried and he looked up the death certificate and gave Mrs. Hukkanen a listing of other Carlisle's buried in the cemetery that confirmed that this was NOT the William A. Carlisle being sought. Biography* � James Beglar Carlisle's parents were recorded in the 1850 and 1860 census records of Meriwether Co., GA and this is where he is presumed to have been born. In the 1900 census, James was gives his birth month and year as Mar 1854 but this is unlikely since he was listed as 8 in the 1860 census and his brother, Richard, who was listed as 6 in in the 1860 census was supposed to have been born in February of 1854. James was noted living with his parents in the 1860 census of Meriwether Co., GA and he would have moved with his widowed mother to Randolph Co., AL probably soon after learning of James M. Carlisle's death in the Civil War. James was noted living with his widowed mother in the 1870 census of Randolph Co., AL But some time before his 1877 marriage, James apparently moved to Tallapoosa Co., AL. Possibly he moved with his mother and was living with or near his oldest brother, William Carlisle. Based on the birth locations of his children, James moved his family to Texas sometime between 1891 and 1894 and "Beglar Carlisle" was noted with his family in the 1900 census of Bell Co., TX. A 56 year old "J. B. Carlisle" born in Georgia was noted (ED 18, p. 24) in the 1910 census of Bell Co., TX. He was listed both of his parents as having been born in Georgia. He listed himself as having been married once for 33 years. 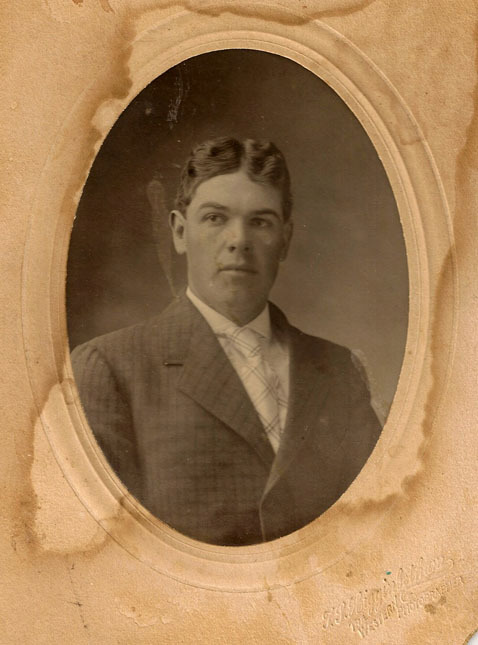 According to his obituary, shortly after the 1910 census, James Beglar Carlisle moved his family to Denton Co., TX where he died at Lake Dallas. The following death notice was from p. 5 of what appears to be a Denton County paper (possibly the Denton, Texas, Record-Chronicle ) for 11 Nov 1927: Plans for Carlisle Funeral Await Arrival of Relatives Arrangements for funeral services for J. B. Carlisle, 74, who died suddenly at his home near Lake Dallas Thursday morning, had not been made Friday morning, pending arrival of relatives. Carlisle, who had lived near Lake Dallas for the past 16 years, is survived by his widow and eight children: Mrs. Ludie Sims, Bartonville; Mrs. Jessie D. Cox, Lubbock; Mrs. C. W. Lamer and Homer C. Carlisle, Salina, Kan; Hubert Carlisle, Madison, Wis; Howard Breckenridge; Leonard, San Antonia and William A., Lake Dallas. 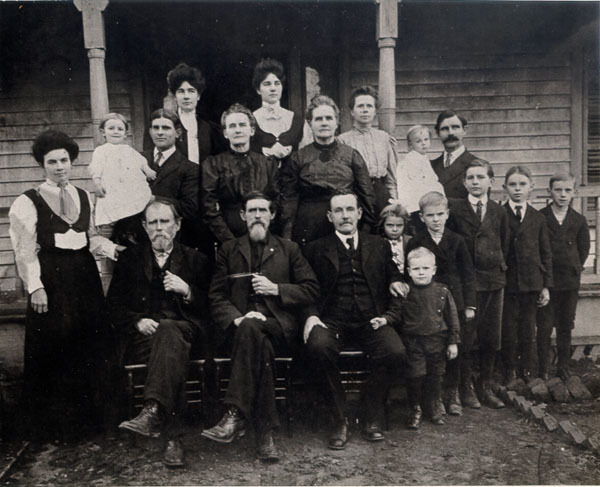 Biography* � In the 1900 census, Nancy was listed as having had 9 children, 8 of whom were still living in 1900 but a great-granddaughter, Mrs. C. V. (Nancy Thompson) Danley, lists 10 children, all of whom were born before the 1900 census. Of those 10 children, 8 can be accounted for either in the 1900 census or in later obituary notices. The two remaining children are Hester Ann and Della. Hester Ann appeared in the 1880 census of Tallapoosa County, Alabama with her sister Ludie and her parents. Presumably, she died before 1900. Della did not appear in a census. Possibly she died in infancy and was not counted in 1900 since her twin was still living. The following obituary notice for Nancy A. Elizabeth Motley is from p. 8 of the Denton, Texas, Record-Chronicle for 23 Aug 1933: Mrs. J.B. Carlisle Dies Late Tuesday Mrs. J.B. Carlisle, 74, died here Tuesday evening about 6:30 o'clock, following several days' illness of double pneumonia. Her condition had been critical for the past two days. Mrs. Carlisle, a resident of Lake Dallas for the past 20 years, lived in Denton for two years preceding that time. She moved here from her native state, Alabama. 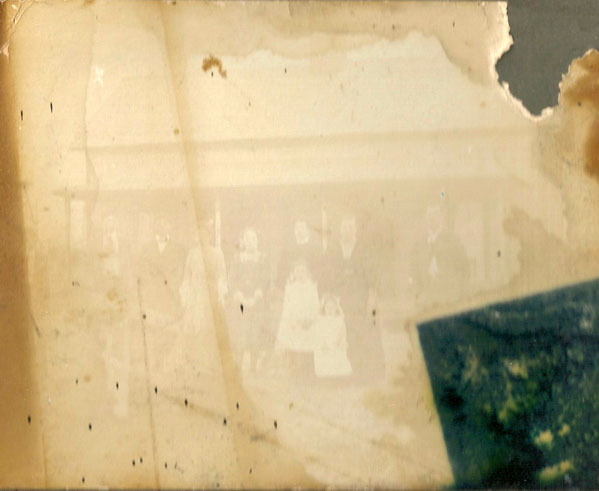 Eight children survive, five sons and three daughters: J. L. and W. A. Carlisle of Lake Dallas; D. H. Carlisle of Salina, Kan., H. E. Carlisle of Hayes, Kan., Howard Carlisle of Breckenridge, Mrs. W. M. Simms of Bartonville, Mrs. Jessie D. Cox of Brownfield and Mrs. G. W. Lamer of Los Angeles, Cal. Her [Mrs. J. B. Carlisle's] husband died about six years ago. All the children except Mrs. Lamer were at the bedside; Mrs. Lamer was to arrive here during the day Wednesday. Funeral services were to be held Wednesday afternoon at 5 o'clock at the residence at Lake Dallas, conducted by Rev. J. R. Atchley, pastor of the Methodist Church there. Burial will be in Swisher Cemetery. Biography* � Richard was listed as "R. Samuel" in the 1860 census, as "Richard" in the 1870 census, as "R. H." in the 1900 census and as "Richard H." in the 1910 census. Although the 1900 census listed the year of his birth as 1856, this is not likely since he was listed as 6 years of age in the 1860 census and as 15 years of age in the 1870 census and he had a sister that was born in November of 1856. Richard's parents were listed in Meriwether Co., GA in 1850 and 1860 census records and this is where he is presumed to have been born. By 1870, Richard's mother had moved her family to Randolph Co., AL. This probably happened soon after she learned of her husband's death in the Civil War. Richard was noted living with his mother in the 1870 census of the Louina P. O. district (now Wadley), Randolph Co., AL. The family was living near Richard's grandmother, the widowed Sarah (Culpepper) Elliott, and Richard's great-uncle, William Henry Culpepper. This might have been when Richard acquired the middle name of Henry. At some point, Richard made his way to Tallapoosa Co., AL, probably with his older brother, William, and, in 1881, this was where he married. 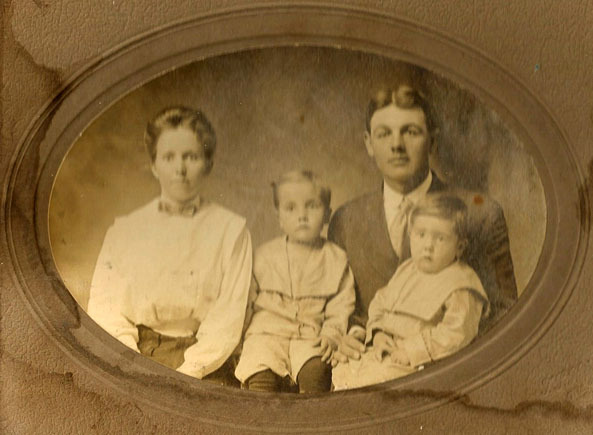 Richard and Henrietta are presumed to have settled down in Tallapoosa Co., AL where they remained until the late 1890's when they moved their family to Texas where their son, Houston G. Carlisle, was born in Sep 1899. The family was listed in Bell Co., TX in the 1900 census living near Richard's younger brother, Robert. According p. 60 of the History of Reilly Springs "R. H. and Henretta [sic] Carlisle moved to Reilly Springs in 1908. They moved from Bell County [TX] and bought the Neil Stribling farm." In the 1910 census, a 55 year old "Richard H. Carlisle" born in Georgia was listed (ED 162-193) with his wife and younger children in Hopkins Co., TX. E-mail written 2003 from Lola Harkins, e-mail address.